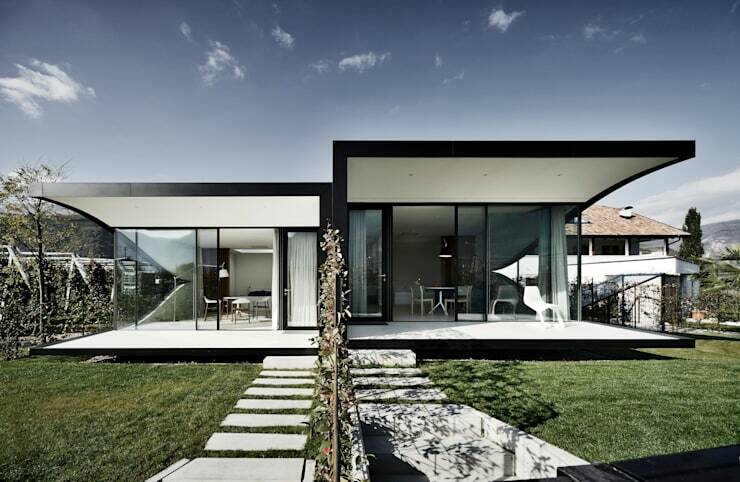 Today on homify 360°, we touch down in the Italian city of Bolzano, set in a valley amid hilly vineyards. And it is precisely these scenic landscapes that form part of the beauty of today’s architectural highlight. 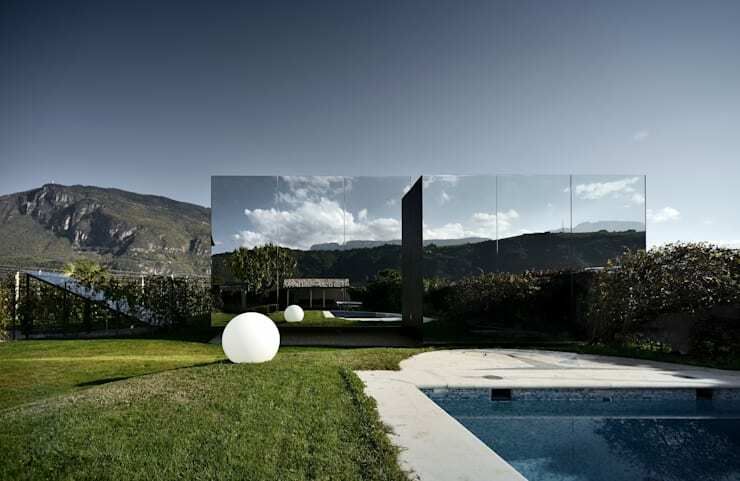 Lush forests, mountainous backdrops, and crystal-blue sky are magical on their own – but what if you could double up on these picturesque settings by having your house mirror the scenic beauty? 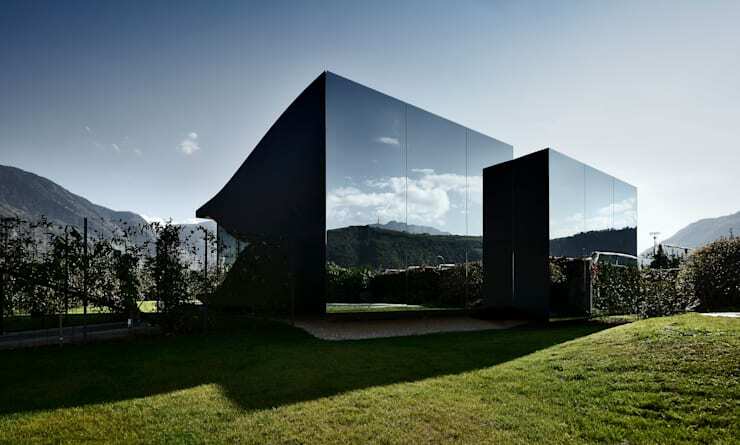 All it took was a genius of an architect, a fresh dose of inspiration – and a lot of mirrors! We start our tour with a look at the house’s front facade, coated in clean and clear shades of glass. 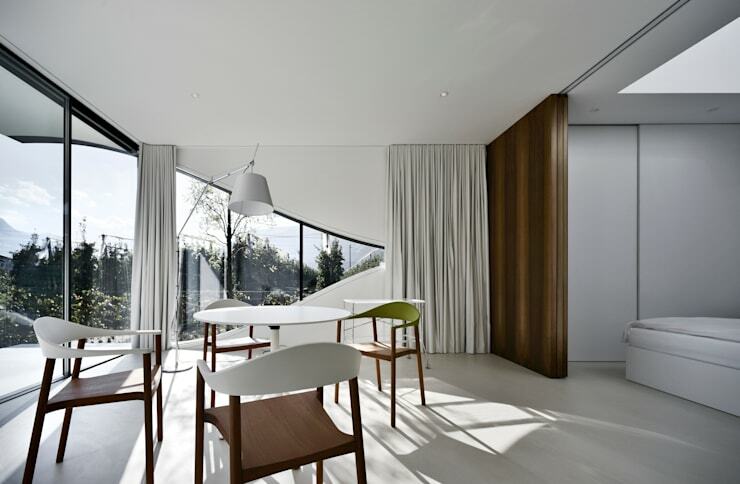 These generous windows and glass sliding doors ensure a permanent view of the hilly surroundings, as well as a fresh daily dose of natural lighting for the interior settings. Crisp white and decadent black hues contrast stunningly with each other, adorning clean-cut edges and sleek surfaces that stand out most prominently from the green lushness that forms the backdrop. 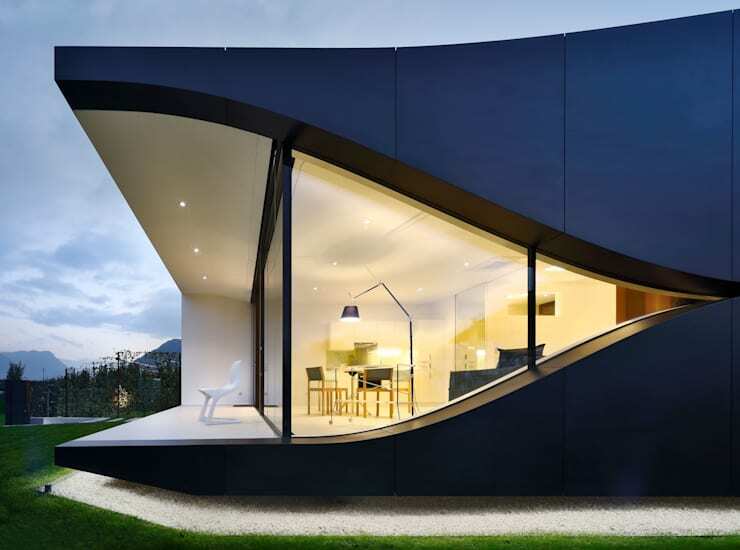 Shifting our perspective to the side of this ultra modern construction, we are greeted by smooth curves resembling a majestic eye – the house is effectively staring back at us, or admiring the scenic surroundings. From this angle, we can see how the exterior surroundings gently seep into the interior spaces – or is that the other way around? Regardless, those huge panes of glass ensure a truly magical touch to this contemporary creation. It’s only once we’re at the back of the house when the house’s title starts making sense: gigantic panes of polished mirrors adorn the rear volumes, successfully reflecting the breathtaking scenery surrounding the house. The interiors are one gigantic open-plan layout, with numerous spaces and zones scattered about to form different ‘rooms’. For example, here we see the dining space, right in front of those majestic windows, enjoying a full view of the astonishing scene outside. How elegant are those interior colours? Creams and whites flow gracefully from floor to ceiling, with only bits and pieces of darker tones (charcoal, cocoa brown, olive green) popping up here and there. Thick curtains ensure a decent amount of privacy (and sleep, in case the homeowners are not early risers), along with a sturdy wooden sliding door that separates the bedroom from the rest of the open-plan layout. 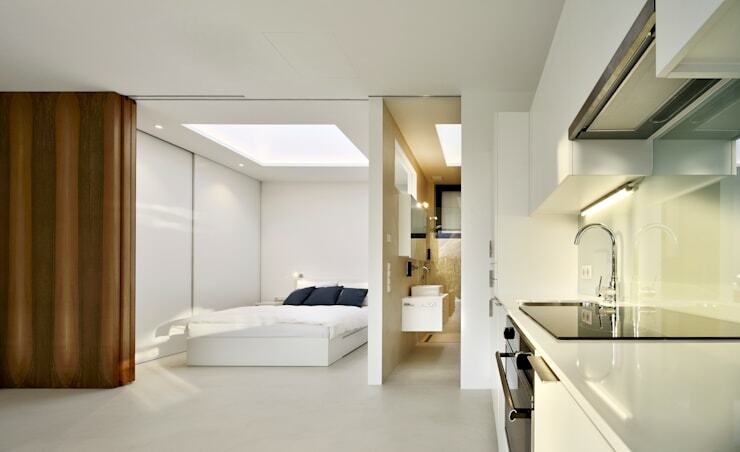 In keeping with the clean and reflective theme, the rest of the interior spaces also flaunt a white, peaceful colour palette. About the only things that stand out in the bedroom are the navy scatter cushions atop the bed. Right outside the bedroom we locate the kitchen, decked out in a sleek and sophisticated design – it might be simplistic, but it’s very modern and functional. Separated from the open-plan area by (white) sliding doors is the bathroom, also continuing the pale palette, albeit in a slightly warmer tone of light gold. We just couldn’t resist one last look at the rear facade of the house, this time opting for a full-on look at those magnificent mirrors. Just see how fantastically they reflect the surrounding valley, stretching as far back as the mountains on the horizon. To balance the rigidness of the house’s box shapes, round garden accessories (is that white ball a decorative element or a garden light?) and curvy surfaces surrounding the swimming pool have been added, making this exterior setting all the more fantastic. Want to see more houses with stunning views? Then click right through to: The Home with the Panoramic Views. The ultimate dream house? Or not your cup of tea? We’re curious, so tell us what you think in our comments section, situated below.